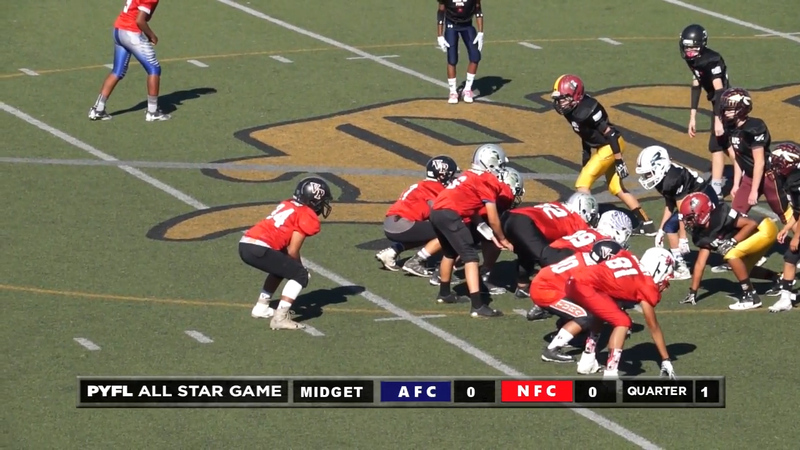 Some of the best young football players in Southern California’s Midget Division compete in this year’s Youth Allstar Game. The Pacific Youth Football League (PYFL) is a non-profit, Volunteer Organization established in 1993; created to serve the families in Ventura County, Santa Barbara County and Northern Los Angeles Counties. The PYFL promotes Youth Football with the intent of providing a competitive and organized program for Student Athletes between the ages of 6 & 14. Our League strives to give these youths the opportunity to play football and participate in cheerleading in a controlled environment with an emphasis on safety, technique, sportsmanship and teamwork.